Whether you're planning a press day, pop-up event, exhibition or showcase, you're going to want a venue which really represents your brand. Choosing a blank canvas venue gives you complete artistic license, and allows for all of the extra details which make your event unique. With our top seven blank canvas venues, the event-planning world can become your oyster – no matter how over-the-top your ideas might seem, these spaces will let you create them. Printworks is in a league of its own when it comes to blank canvas spaces. Made up of six industrial warehouse spaces with a total capacity of 5000, it also has six acres of private, gated land - basically, it's big. It's obviously ideal for huge brand launches, but with a bit of vision, each space can be used for anything, including smaller dinners, beer festivals and art exhibitions. Formerly the print factory for The Evening Standard and The Daily Mail, the industrial venue is a fascinating backdrop whatever the event. With its Grade II listed status Lindley Hall is both a beautiful and interesting blank canvas venue. Part of the Royal Horticultural Halls, the space has a stunning glass vaulted ceiling and the largest uninterrupted floor space in Central London that can accommodate up to 650 people. Perfect for weddings, launches and even conferences, Lindley Hall is hugely versatile. Looking at its crisp, white interior, you may find it difficult to believe that Blank100 was originally used as a furniture making warehouse at the beginning of the 20th century. 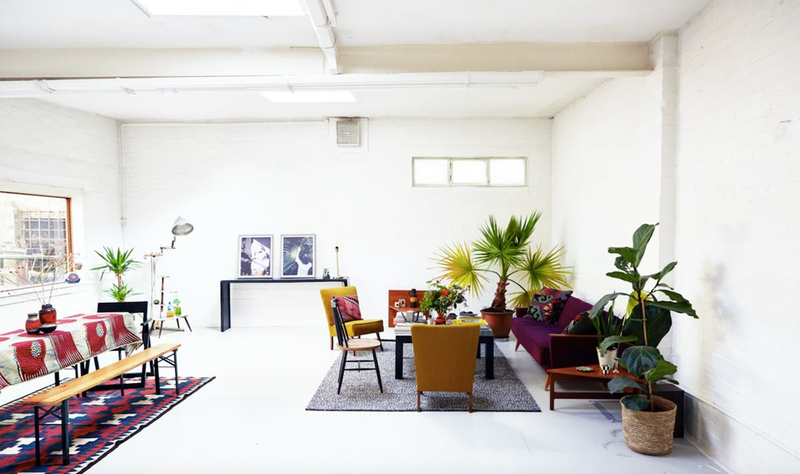 Having been converted into a clean and contemporary space for up to 70 guests, the Studio at Blank100 has become a popular venue for art exhibitions, pop-up events, screenings and photo shoots. The Hellenic Centre's Great Hall is an impressive 2605 square foot space, which has the capacity for up to 250 people. With its high ceilings, white-washed walls and staging options, this blank canvas can be easily adapted for a multitude of eye-catching events. Though lit by natural daylight, The Great Hall can also be fully blacked out if required. Fully integrated AV and high-speed internet also come as standard. The Worx is West London's leading contemporary venue and studios, offering over 30,000sq' of blank canvas space. The Worx is conveniently located in Parsons Green, Fulham, minutes from the famous Kings Road. Whether you want to take advantage of the bright natural light or lighting rig to highlight the stage, this is the perfect setting for creative events. With a maximum capacity of 400, Warehouse 89 is the ultimate blank canvas venue for hosting unforgettable events. Based in Shoreditch, Warehouse 89 is at the heart of London's creative scene – something reflected in its industrial and airy interior. You'll find Park Village Studios a stones throw from the Gloucester Gate entrance to Regent's Park. Once a Victorian riding school, the Studios have been converted to provide a stunning setting for film, photography and events. 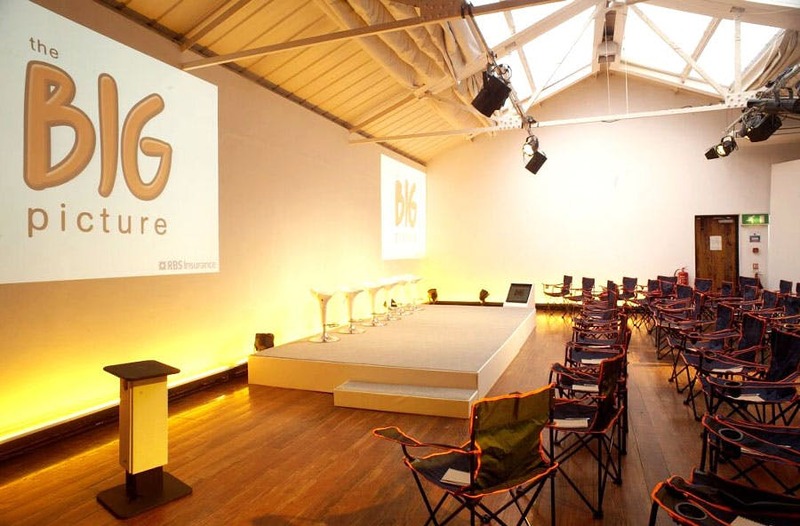 Offering 7,000 sq ft of flexible event space over three distinctive areas, the studios can host a wide array of events and is excellently suited to creative events such as brand activations and product launches.